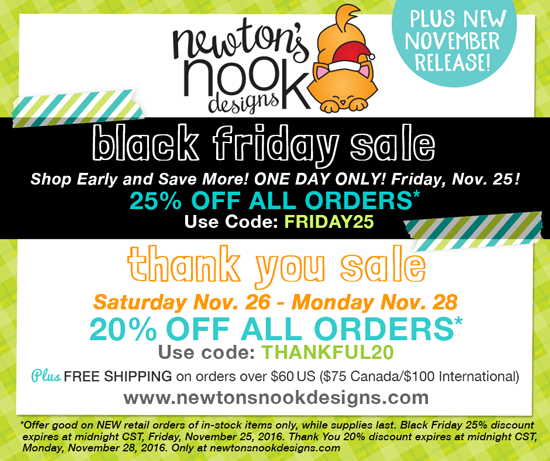 Newton's Nook Designs: Snowy Bear Card by Jennifer Jackson + Black Friday Sale! 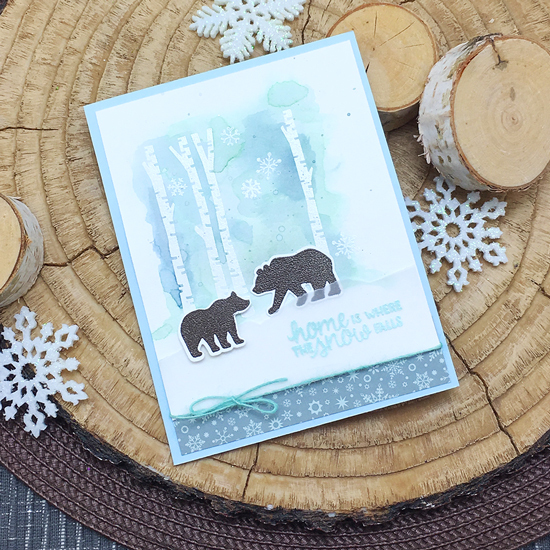 Snowy Bear Card by Jennifer Jackson + Black Friday Sale! Today I'm sharing this fun card I created with our NEW Serene Silhouettes stamp set! This new set is so fun for building winter scenes! I stamped the birch trees and snowflakes with Versamark ink and embossed them with white. Then I added a watercolor effect over the top using Distress inks. 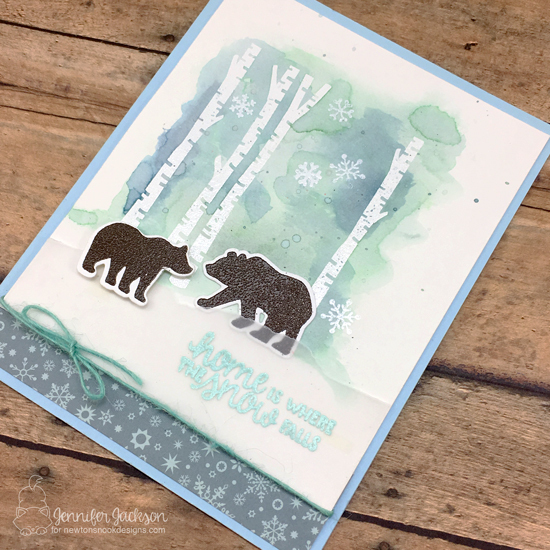 I stamped the two bears and embossed them with brown embossing powder and trimmed them out using the NEW coordinating Fox Hollow Die Set! This set has a bunch of cute animal couples! To finish the card I stamped the "Home is where the snow falls" sentiment on vellum and embossed it with light blue embossing powder. I also added a bit of blue twine ad a strip of patterned snowflake paper! Awesome card. I'd love to have already my stamps on my desk..... let's hope the post works quickly !!! !